How can I order records by a specified column in TO3000? You can order records in any table within TO3000 by any column. To order records by a certain column, click the column header. 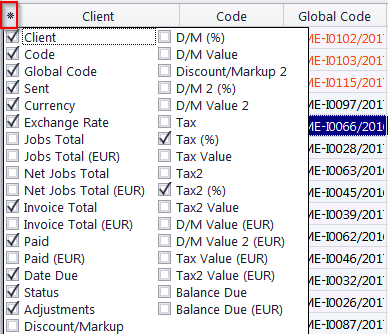 In case you do not have required column displayed, click the asterisk in the top-left corner of the table and check the name of the required column.